I am having to overcome something I haven’t had to do in over 8 years now. 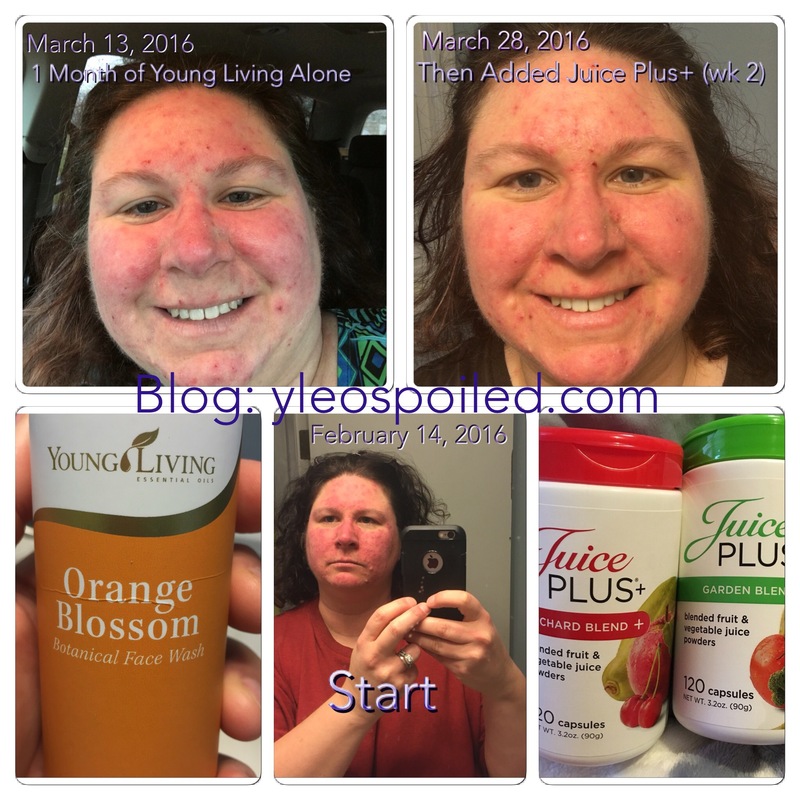 Prior to Young Living Orange Blossom and Juice Plus+ my face would be so dry. I would spend hours in front of a mirror picking the dead skin off my face. It was the only way I could keep pustules from getting worse and making things more difficult. I find myself still picking at my face. It is this subconscious thing I do now. So instead of it helping my face, it isn’t helping anymore and it is making my face bleed (you can see spots on my face). I really need to focus on what my hands are doing when I am working because that seems to be when I pick the most! Do you have anything you do that you don’t even realize? I really need to start working on these “little” things! Interested in learning about the Children’s Health Study? *I only recommend one brand for ingesting essential oils. Young Living has a Seed to Seal commitment and promise. They are a pure therapeutic grade essential oil. Always be sure to read the label for directions on usage for each individual essential oil.